Blake and Chase are climbing into the time machine this week to bring you the adventures of the 31st Century’s greatest protectors — The Legion of Super-Heroes. Through three continuities and innumerable revamps, what are Blake and Chase’s favorite Legion stories? 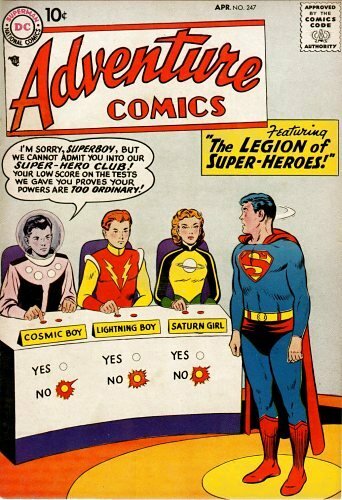 How about the Legion these days? How do they fit in with the Justice Society and Justice League? And what about the new Legion television show? The guys cover them all. Stick around for this week’s picks, including Ape Entertainment’s White Picket Fences and Marvel’s Sensational Spider-Man Annual. This entry was posted in Showcase Podcast and tagged Justice League, Justice Society, Legion of Super-Heroes, Spider-Man, Superboy, Superman, White Picket Fences. Bookmark the permalink.